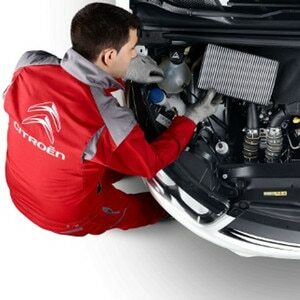 Changing your engine oil is an essential maintenance operation for your Citroën. You should replace the oil regularly with the grade of lubricant that’s required for your vehicle. This eliminates all the impurities caused by the running of your vehicle and guarantees the longevity of your engine. DO YOU KNOW WHAT ENGINE OIL TO USE FOR YOUR CAR? Using the wrong oil, or not keeping your oil topped up can seriously damage your engine. You could even risk breaking down and invalidating your warranty. This is always done as part of your vehicle’s next Service. You can even book an appointment online. What does it mean for my Citroën? By carrying out regular servicing and maintenance, and by choosing the correct grade of oil for your vehicle, you’re looking after its key components. As well as peace of mind that your engine is running as smoothly as possible, what you might not realise is the impact the right oil has on your fuel efficiency and emissions. The engineers at Citroën and Total have worked together for decades to create engine and oil combinations that work in perfect harmony. Our compact and efficient engines contain many small parts; very specific oil is needed for each of our cars and vans in order for the oil to do its job correctly. You can always find the correct oil for your vehicle in your maintenance handbook. If you’re not sure, your local Citroën Dealer will be able to help. They only use the correct grade of oil when working on your vehicle. A pollution-control, synthetic technology engine oil that provides Citroën engines with the best possible protection against clogging and wear. Total Quartz Ineo First 0W30 is suitable for the most demanding driving conditions. It has been specifically designed to protect engines meeting Euro 6 emissions standards. It’s particularly suitable for Hybrid engines, as well as those featuring Stop & Start technology. Choose Total Quartz Ineo First 0W30 for optimal fuel economy and reduced CO2. Always check your Service, Maintenance and Warranty book for the correct grade of oil. Your Citroën dealer will also be able to help. Depending on which Citroën model you own, you may require another grade of oil. All of these are recommended by Citroën. 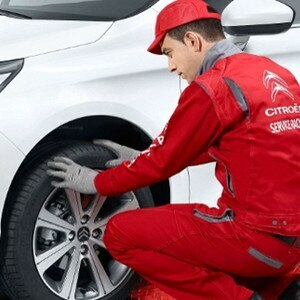 Always check your Service, Maintenance and Warranty book for the correct grade of oil or ask your local Citroën Dealer. Still not sure which is the right oil for you? Our partners Total have a handy tool to lookup the correct grade of oil for your Citroën. Always make sure to check your Service, Maintenance and Warranty book and speak to your local Citroën dealer if you’re not sure.